I had a great week of reading. The Rosie Result was very good listen and I loved how it all worked out. The House of Second Chances by a new to me author turned out to be a worthwhile read. And the review book The Things We Cannot Say – excellent. I am not a big fan of dual time lines but have to say I was won over eventually by the book. The Things We Cannot Say just sounds as though it might be sad in places. You seem to have had a relaxing reading week. That’s always good. Oh, I just tonight requested The Rosie Result from my editor at Shelf Awareness, but I imagine EVERY reviewer also requested it so not much chance I will get it! But I enjoyed the first 2 books and will definitely read this one, too. Enjoy your books this week and thanks for hosting! Glad to see you liked The Rosie Result! I haven’t heard of any of these, I hope you’re enjoying them! I just started The Things We Cannot Say yesterday and I’m loving it so far. I’m excited to see where the story takes me. Have a great reading week! I think I want all of these with the exception of the RaeAnn Thayne and that’s only because I already have it! I need to read The Goodbye Quilt and The Things We Cannot Say. I love dual timelines but I know they’re not your favorite so this one must have really worked! Have a great week! The Things We Cannot Say was so sad in lots of ways but so wonderful too. 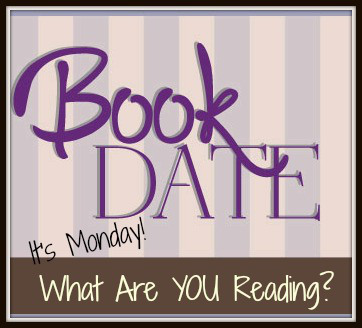 Have fun reading this week!! Glad you had a good reading week. There are some good covers here. I like Susan Mallery’s writing. Thank you as always for the opportunity to share my blog. I plan to read The Things We Cannot Say later this month, happy to her you enjoyed. Have a wonderful week. I have The Cliff House on my list to read soon too! Have a great week! A new Rosie! That sounds delightful. THE HOUSE OF SECOND CHANGES does look good….glad you enjoyed it. I like the looks of THE CLIFF HOUSE and THE THINGS WE CANNOT SAY. The Cliff House is on my wishlist. That looks so good. Hope you have a great week! The Things We Cannot Say is officially on my TBR list! Glad to hear you had a good reading week! I hope this week turns out the same way. The Cliff House has such a pretty cover! Your books look good! I am having a hard time sticking to any of mine. Sigh. The Goodbye Quilt was a good read. The House of Second Chances looks very good.